The 2017-18 TAFE Western Sydney Institute Rising Star Apprentice Series has now been completed with the final heat having been run at Hawkesbury on 21 June 2018. The series is to promote Vocational Education and Training in NSW. Unless riders fulfil the requirements from category (i) they will be unable to ride in the Final. Riders from Category (ii) and (iii) may ride in a heat, but may not attain points, or ride in the Final. Individual awards for heats shall be made to the highest placed rider from Category (i). In the event that there are insufficient qualified apprentice riders available on the day of a series race, after confirmation from the Racing NSW Training Dept, Stewards may permit an Interstate Apprentice Jockey who does not qualify under Category (ii) to ride. These riders may not attain points or ride in the final. (ii) In the case of a dead heat, the effected placing's points shall be added together then divided by the number of dead heaters. (iii) If an apprentice is declared for a ride and the horse is subsequently scratched, the apprentice will gain one point. Apprentices who are due to come out of their time during the period of the Rising Star series will be eligible to compete until such time as their apprenticeship finishes. 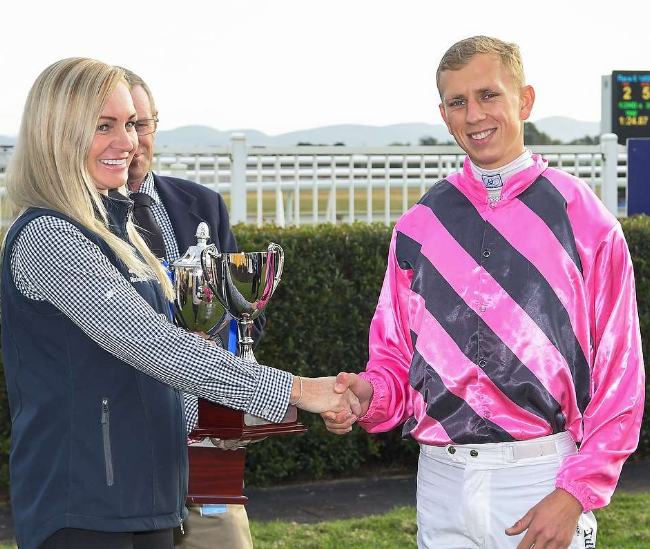 These apprentices will also be eligible to become the overall Rising Star Series winner, with points earned in the races in which they are eligible to ride to be considered in the final tally. The Final is restricted to apprentices who have earned points during the running of the Rising Star Series. The application of the above rule is subject to those apprentices being able to secure a ride at their riding weight and provided they are able to claim down to their advertised riding weight if required by connections. At the conclusion of the final, the apprentice who has accumulated the most points in the series including the Final will receive the Rising Star Cup. In the event of more than one rider finishing on equal points after the Final, a count-back will occur. The Apprentice with the most race wins, and subsequently the most 2nds then 3rds within the series will be declared the outright winner.